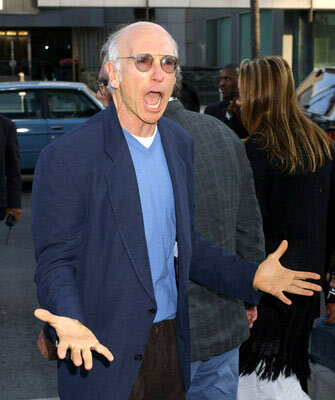 “Every relationship is just so tenuous and precarious.” – Larry David … same applies to most businesses. I purchased 2 Restaurant.com certificates (discounts) to a Kosher restaurant in my area (at the recommendation of DansDeals.com back in January) . It’s the only kosher restaurant in my area that is offering certificates on this website. The restaurant decided to leave the program and in an email I received from the website, I can now use my credit for other restaurants participating on Restaurant.com. Problem is, I basically cannot use this credit, as no kosher restaurant near me is participating, and I am asking the website for a simple refund. (We’re talking about ~$4 per certificate – with a value of $25 per certificate at the restaurant). While there are kosher restaurants on the site, they are not close to where I live, and I am not interested in shlepping to these places. The irony is that Restaurant.com certificates “do not expire”. That’s their tagline. Obviously they’d expire if the restaurant were to shut down, and I’d expect that they’d issue credit in that scenario (although being stuck with that credit isn’t too thrilling as a kosher consumer). But in this case, the restaurant chose to leave their agreement with the website. All of a sudden, my certificate (to an existing restaurant), expired. Whose problem is this? The company issuing the certificate or the customer? On the phone with Restaurant.com customer service, they first refused to give me a refund and offered me more credit (they really don’t understand what keeping Kosher is). They claimed that according to their terms, they do not issue credit. However, these same terms also mention that “Restaurant-Specific Certificates do not expire.” There is no mention of restaurants refusing to accept their “no expiration” certificates. This “do not expire” jargon is a marketing gimmick, because clearly they do, and Restaurant.com does not stand behind it. They then eventually agreed to refund me for one of the two certificates, but not the 2nd. After spending a total of 26 minutes on the phone with them (majority of which were on hold) they reluctantly decided to give me the refund on both. (I’m still awaiting confirmation via email that my refund is being processed. If it does not get processed in the next day, I’ll likely need to call back and waste more of their and my time, and possibly call American Express to request a refund). That the company is definitely paying more in staff hours (both the customer service rep and her manager) to deal with my complaint than to issue me a refund is just mismanagement of company funds. Kosher buyer beware when purchasing Restaurant.com certificates for kosher restaurants. Don’t assume “they certificates never expire”, use them quickly. If you end up needing a refund, prepare to spend some time and energy on the phone with them. In case they do not refund you, you can always go to your credit card company to request a refund. In this matter, I always recommend using an AMEX card as they are the best at handling these sorts of disputes. While significantly more expensive, if you’re looking for kosher restaurant deals on demand, check out GreatKosherDeals.com (run by Great Kosher Restaurants magazine) where the deals are not as amazing, but I do trust them and have used them recently. Would love to hear your thoughts here. Please comment below. UPDATE 3/13/13 @ 6pm: Restaurant.com’s social media team has reached out on Twitter quickly, apologizing for what I had to deal with. At least one part of customer service is working.